Hoops and Heartbreak | Cover Story | Style Weekly - Richmond, VA local news, arts, and events. A young man of promise is cut down by a shot in the dark. A mother loses her son, friends lose a brother and a community keeps his memory alive. At the vigil for Garrick Ellis, friends hold their hands high, thumbs and forefingers touching. Garrick, a stellar basketball player, made this gesture when he sunk a shot. “Ten,” it meant, a reference to his jersey number. Garrick Ellis is killed during a weekend spasm of violence in the city. The bullet — small-caliber is all police will say — finds the 18-year-old in the middle of the neck in the middle of street on Saturday night, Aug. 17, just after 10 p.m. It is the weekend during which seven people are shot and two die. The string of shootings in a city that believes its most violent days are behind it prompts Deputy Police Chief Eric English to hold a news conference that Monday. Crime is down overall, he reminds people, but yes, it was a "very rough weekend." A vigil for Garrick is held two days later. He's the 21st homicide victim this year. No arrests have been made. The size of the crowd surprises Garrick's grandmother, Parthenia West. 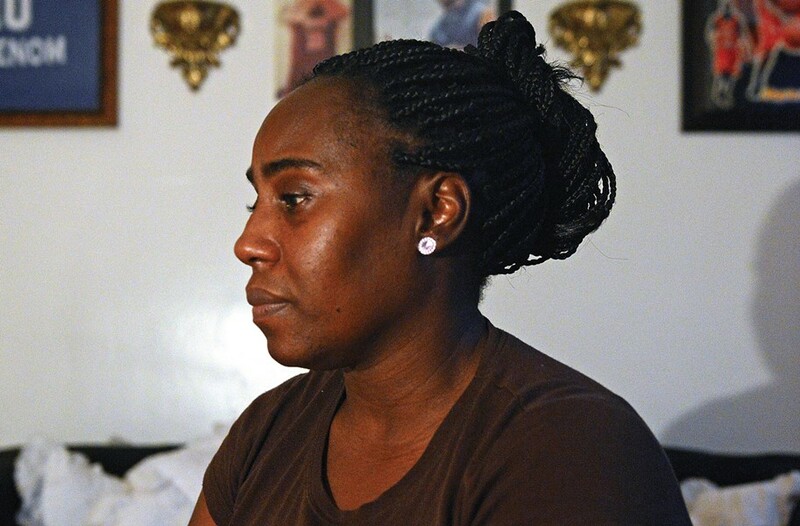 She didn't know Garrick well, but her son, Garrick West, was his father. He, too, died in the streets. In 1996, his body was found in an alley in Church Hill. He was 23, that year's 88th homicide victim. A judge ruled that West's killer acted in self-defense. Garrick Jr., Lil' G or G, as many called him, was a baby when his father died. "I never thought I would have to bury my son and then his son, my grandson, 17 years later," West says. "When I heard I thought: 'Oh, my God. It's like history is repeating itself.'" Garrick Ellis, who had recently turned 18, was to graduate this year with his Thomas Jefferson High School classmates. The vigil is held in the parking lot of the S&K Supermarket, where East Brookland Park Boulevard meets Fourth Avenue in Highland Park. It's a one-block dash from the corner where Garrick was shot. He collapsed in this oil-stained lot with its cracked asphalt and loitering men and cigarette ads. People spill into the street. Many of them watched Garrick grow up. They grew up alongside him. They saw him dribbling a basketball on the sidewalk, in the street, in the parking lots, on the courts at Hotchkiss Field Community Center. Eight years old and that ball was bigger than his head and maybe one-third his height. But he grew into it. They coached him and chided him when he was defiant and insisting, again, that he was right and you were wrong. They scooted him along and fed him and made sure his mama knew he was safe. They made room for him in their homes and saw he got to school and when he got to school, that he went to class. And Garrick, he dazzled them. With his playfulness. With his talent. With his yearning to be more than a street kid with a basketball. His grin made a person feel like the center of the universe, part of a something special. He learned early that his smiling yes ma'ams and no sirs deflected attention as easily as they attracted it. "Wherever Garrick went he found a mother, a father, a mentor," says Derrick Johnson, better known among the youth here as Coach D.
"In this neighborhood, everybody had a hand in raising him," says Clarence Thornton — Coach C.T. "That's the way it is here." Garrick Ellis was, his math teacher says at his funeral, a village child. They come by the hundreds to remember him. Garrick's girlfriend, Kashé Booker, says the two had been fighting the night he was shot: "I just wish we could have said something more to each other before he left." There is a way into Highland Park from the west along Brookland Park Boulevard. The road passes through the landscaped Sherwood Park, then narrows through an aging business district and dips in and out of a wooded gulley and into the neighborhood. It's a half mile to a six-way intersection anchored by a church, a long-closed school, a bank and small businesses, some of which have seen better days, some of which are seeing them now. Six Points is the core of Highland Park, a six-fingered hub moving people in, out and through. Garrick was shot a couple blocks from here. He was Highland Park's first homicide victim in four years. Jo White, founder of the Richmond Guardian Angels in Highland Park, would like to make that clear. The neighborhood — bounded roughly by the Fifth Avenue viaduct, Fifth Avenue, the Henrico County line and the Richmond-Henrico Turnpike — has a reputation for violence it is determined to shake. Crime here is down 14.5 percent from last year, White says. The air holds a sense of optimism. A new housing development is rising where some of the worst housing projects in the city once stood. Once-derelict homes gleam with new roofs and fresh paint. The last few years have seen the rise of the Guardian Angels and Neighborhood Watch, people no longer willing to give the neighborhood over to those who would destroy it. The social-entrepreneurial nonprofit, Boaz & Ruth, has opened several businesses in Six Points, including a popular sit-down restaurant, Fire House 15. The city, other nonprofits and service organizations and the University of Richmond's Bonner Center for Civic Engagement have been investing in Highland Park's people and property in recent years. This is working-class neighborhood, though the nature of the work has changed. "This population used to work for the post office, Philip Morris and Reynolds Metals," says City Councilwoman Ellen Robertson, whose district includes Highland Park. "They had health care. Now, the lower-skilled, undereducated work force is probably working for hotels, for McDonald's. They hustle daytime small-time jobs, nurses' aides, day care. The new job markets are the new call centers and if you don't have a car, you can't get there." Highland Park is a place of contrast, of a slowly returning middle class drawn by the neighborhood's stunning — and relatively inexpensive — Queen Anne houses and of the poor, who find work where they can get it. A decades-long confluence of federal and local transportation and housing policies that dislocated middle-class families, concentrated poor families and isolated people behind freeways and railroad tracks and in housing projects took its toll on Highland Park and other North-Side and East-End neighborhoods. So, too, did white and then middle-class black flight, business disinvestment, the drug epidemic, and in more recent years, the recession and foreclosure crisis. Coach Derrick Johnson first met Garrick when he was 8. "All Garrick wanted to do was play basketball," he recalls — "all day, every day, that's all he wanted to do." Ask people here and many will say Highland Park is emerging from its hardest and darkest days. They also will say that emergence isn't happening throughout the neighborhood or among all residents, particularly the youth. While most residents get up every day and go to work, tend to their yards, watch the football game and do what people do the city over, there persists a subculture of drugs and gangs, of young men and women entrapped by not enough education, not enough work and their own bad decisions. From this landscape arise gangsters and drug dealers making a play for youth in the name of family and profit. From this landscape also takes root a small but dedicated community of coaches, teachers, preachers, mentors and mothers. It's the kind of network that existed in small towns or in days when a community, working in concert, reinforced its best values upon its young. They all were there, at Garrick's vigil and funeral, these beacons who raise not only their children, but also the children of others. "I called his mama, 'Mama.' He called my mama, 'Mama,'" says Danté Jackson, one of Garrick's closest friends. "I stayed at his house. He stayed at mine. He gave me food when I didn't have no food. If I didn't have no clothes, he gave me clothes. If I didn't have it, he had it. If he didn't have it, I had it. We always looked out for each other. That's how it was." That's the terrain Garrick navigated. It's the community of adults he embraced and who embraced him and the streets from which he sought refuge. "We love where we come from but we just seen so much growing up here and we know there is nothing good coming from around here," says Vidrell Lee, Garrick's closest friend. "Me and Garrick always said that we would never forget where we came from, but we didn't want to be around that our whole lives." Around here, two young men from the same family could take very different paths. The last homicide in Highland Park? The one of which Jo White spoke? Four years ago, a gas station surveillance camera captured a distant image of a man walking up to a car and shooting the person inside. Police identified the shooter as David Ellis, Garrick's older brother. A jury found David guilty of first-degree murder. David told his mother he didn't do it and Garrick told his teachers he thought his brother had been wrongly accused. That shooting happened across the street from the S&K, not a hundred yards from where Garrick collapsed the night he was shot. David was sentenced to 33 years. He was 18. Garrick's mother, Chiquita Watson, sits in her living room, where she's creating a memorial wall with her son's photos and basketball jersey. He was her youngest child. The first time Derrick Johnson lay eyes on Garrick, the coach is driving through Highland Park. Garrick is dribbling his basketball in the middle of the street. "And he won't move. After the second week of him and me battling it out, I say, 'Can you play?' He says, 'I can play.'" He was 8 years old. "He was an exceptional ballplayer," Johnson says. "His skill level, his basketball intelligence, exceeded everyone at his age. 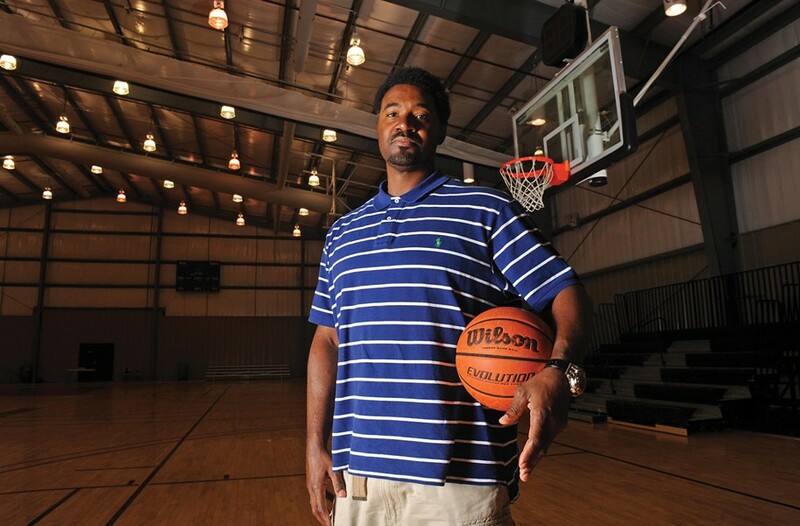 I coached him in AAU [Amateur Athletic Union] from the time he was 8 to the time he was 18, and we set six consecutive Division 1 titles with the Richmond Phenom." A constellation of coaches looked over Garrick. Coach C.T. Coach Mario. Coach Anthony. Coach Warren at Thomas Jefferson High School. Former NBA star Ben Wallace. None was closer than Coach Johnson, a mental health counselor and former Virginia Union University basketball star, who played 12 years of professional basketball overseas. "I could motivate some kids, and Garrick was one, because they saw basketball as their way out," Johnson says. "I would tell them, 'I can't tell you basketball will buy you a big house, but it can get you out of your neighborhood and it can get you to college for free.' And Garrick would say, 'The first thing I'm gonna do when I get out of college is buy my mama a big house.'" Garrick's mother is Chiquita Watson. He was her baby, the youngest of four. Watson, who works in housekeeping at VCU Medical Center, had Garrick when she was 25. She was a single mother, a high-school graduate, taking what jobs she could where she could find them, moving from place to place. It was always a struggle. They were living in the Fairfield Court housing projects when Garrick was little, but when he was about 6, she says, they moved to Highland Park where Garrick and his two older brothers, David and Antonio, quickly became fixtures. They were all athletic and David was a good basketball player, Coach Johnson says, but no one could touch Garrick on the court. He'd planned to go to John Marshall High School with its winning team, but when Coach Johnson took a job at Thomas Jefferson, Vidrell, Garrick, and their friend and AAU teammate Kadeem Wright decided to follow. The three played together for T.J. in the 2010-'11 school year, when Garrick made varsity as a freshman. That first year was rough. "We knew how it was gonna be," Vidrell says. "For the last two years, T.J. hadn't won a single basketball game. They couldn't even beat Maggie Walker." But the second year, when Joshua Boone joined them as a freshman, they made it to the district championship and defeated John Marshall. Evangelist Markeita Boyd rests her head against a police car as she comforts John Jones, one of Garrick's friends, who, overcome, sinks to the sidewalk at the vigil. She exhorts parents, inset, to watch over their children and the community to call police if they see a crime underway. "We can't keep losing our babies to the streets," she shouts. Garrick was living with Vidrell, whose mother Garrick called mom. The two boys shared a room and they covered the walls with NBA player posters. Vidrell wrote out the names of all their friends in bubble letters and taped those to the wall, too. "We always both said that one day we were going to have a big house right beside each other and we'd have cars and we'd walk out and say, 'What car we drivin' today?'" Garrick and his mom talked by phone every day. She traveled to the games when she could get off work and could afford it. She gave him money when she had it. "Quita wanted what was best for Garrick," Coach Johnson says. "Even if what was best meant not living with her because he needed stability and she could not provide it. Quita was not embarrassed and she was not too proud to put her child in a situation that was best for him." 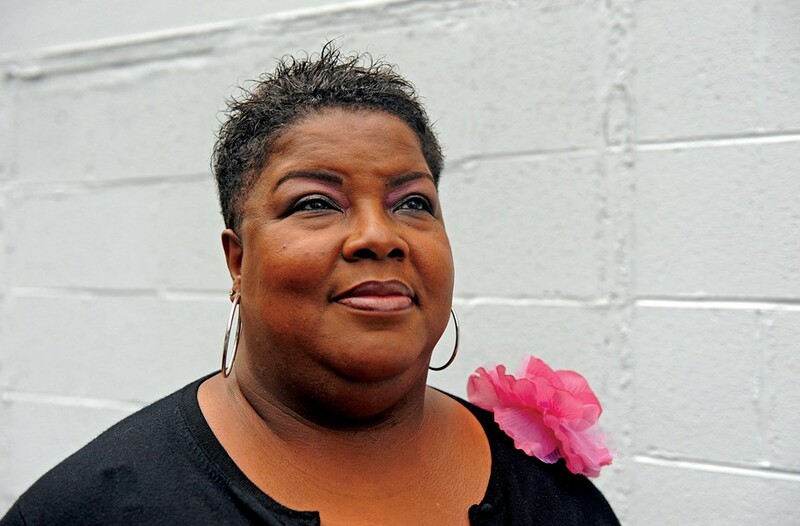 Chiquita Watson tells a story of how one day Garrick was struck by such severe cramps he ended up in the hospital emergency room. Now, Watson asks, "How many principals do you think would personally take your child to the hospital and stay with him? Ms. [Tanya] Roane did. … That's how it was. "Everyone knew Garrick. He always had people looking out for him. There was not a time that I went into Highland Park that someone couldn't tell me where he was. He was everyone's child out there. And I loved them just like they loved him." He was particularly close to Alesia Johnson, his math teacher at T.J. She's an ordained minister and Garrick called her mom as well. "No one wanted to take his mother's place. We wanted to come alongside her," Ms. Johnson says. "There was a childlike innocence about Garrick that made you adore him. He was such a kid on one hand and such a brat on the other. "Have you seen the commercial that says, 'The day I became yours, you became mine,'" she asks, and her eyes suddenly well. "That was Garrick. He didn't let you give up on him, no matter how mad you were at him. … There are some people who don't want to be made whole. Garrick's desire for more made you want to help him. You knew you were part of a village raising him." But Garrick was struggling. His brother's arrest left him devastated and angry, Garrick's mother, friends and coaches say. "He looked up to David. He was his male authority figure," Coach Johnson says. "David couldn't keep away from the street and because he couldn't, he made sure he kept Garrick away from it." Alesia Johnson was Garrick's math teacher. She says he called her "mom" and often scooted his desk as close to hers as possible. At the end of his first semester of his junior year, just after basketball season began, a school security guard caught Garrick with marijuana. He was suspended for one year. "He was truly remorseful for that," says his school case manager, Arjonah Bullock-Balmer, who cries upon mention of Garrick's name. "I hated to see him go — and I want kids to have consequences — but I felt that was harsh for him." He was crushed, coach Johnson says. "And when I tell you he was crushed, oh my God, that really changed him. He felt he let his team down. His whole train of thought shifted. He talked about getting a job. … He'd come to the T.J. games and cry." He went to Henrico High the second semester of his junior year, but was drifting. "It's easy in the 'hood to get into the streets," Vidrell says. "G was in between. He didn't know which route to take. But as long as we kept him on the court, he was OK. 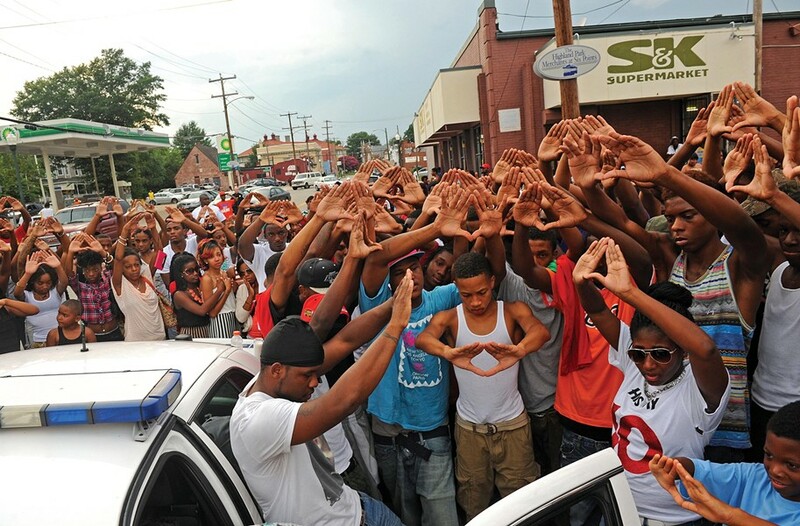 Most everyone we looked up to was into the streets. They were like our bigger brothers of the 'hood and they wanted us to get out." Garrick had a learning disorder and teachers and coaches were willing to argue on his behalf. An arrangement was reached: Garrick would enroll in one of the district's performance learning centers, where he would work at his own pace. If he did well, he would play basketball at T.J. his senior year and graduate with his class. He was ecstatic. Vidrell had graduated, but Garrick talked about how he, Kadeem and Danté would be back together and stronger than ever. 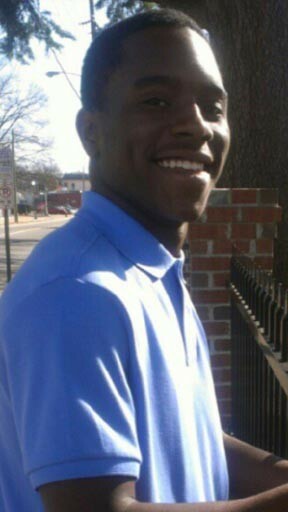 The morning of the day he was killed he called Coach Johnson to make sure he had a ride to enroll in his classes. "We had finally gotten him back," Johnson says. 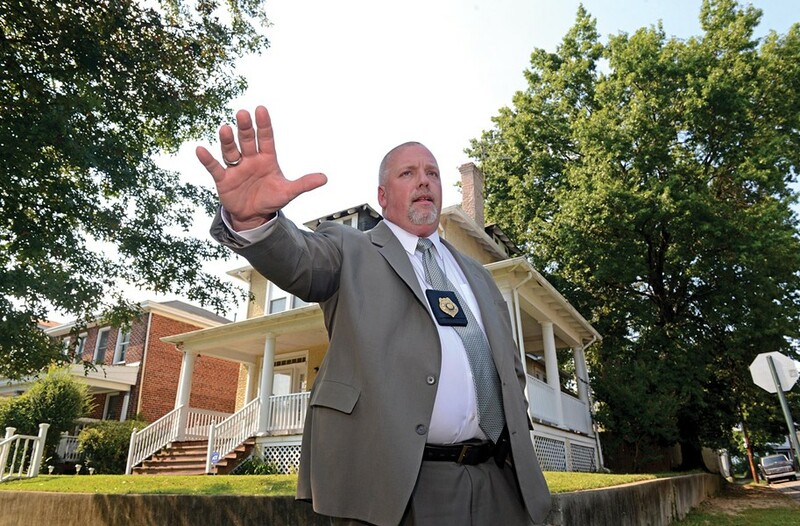 Detective Bernard "Mac" Adams stands at the corner near where a still-unknown shooter fired at two groups of young men walking down the street. One of the bullets struck Garrick near the middle of his throat. He died at VCU Medical Center. It's Saturday night. They're going to a party. Garrick and Danté Jackson and three other guys. They meet up at a store and start walking. Vidrell was going to another party, but he said he'd come meet them. Garrick's girlfriend, Kashé Booker, was going to Dave & Busters. She was mad at Garrick because he wouldn't come with her and they'd been fighting. "I'll see you before midnight," he texts her. Garrick and Danté move ahead of the others. They talk about the upcoming basketball season at T.J. and Garrick plays Danté some new ring tones. They're walking on Fourth Avenue, just past the S&K, in the neighborhood now, a block of houses, front porches staring down at the street. They reach the corner of Fourth and Front Street. Another group of young men, coming from the party, is heading down Fourth Avenue in the opposite direction, heading toward the S&K. They pass each other in the street. "We don't know them and we don't say nothing to them," Danté says. A few moments later, someone fires a gun in the direction of both groups of young men. Danté says there was no car, no warning, just shots. "Pop, pop, pop," says Richmond police detective Mac Adams, Garrick grabs his throat, "and says, 'I've been hit.'" Garrick and his friends turn and run back toward the S&K parking lot. Danté calls 9-1-1. It's 10:19 p.m. In moments, word spreads, by phone, by text, by social media. G's been shot. Keep him in your prayers. Vidrell speeds to the S&K lot. "I ain't gonna die," Garrick tells his friends. Garrick's mother beats the ambulance to the hospital. Coach Johnson, meeting with some old college friends in Washington, bolts from a bar and drives back to Richmond. The waiting room fills. They wait. Then there is a chaplain and a doctor and words Garrick's mom tries to catch but all that swims before her is: "We tried but …"
Garrick's girlfriend, Kashé, doesn't believe it. She dials his cell. "I called and called and called," she says. "I knew he was dead, but I called and called." 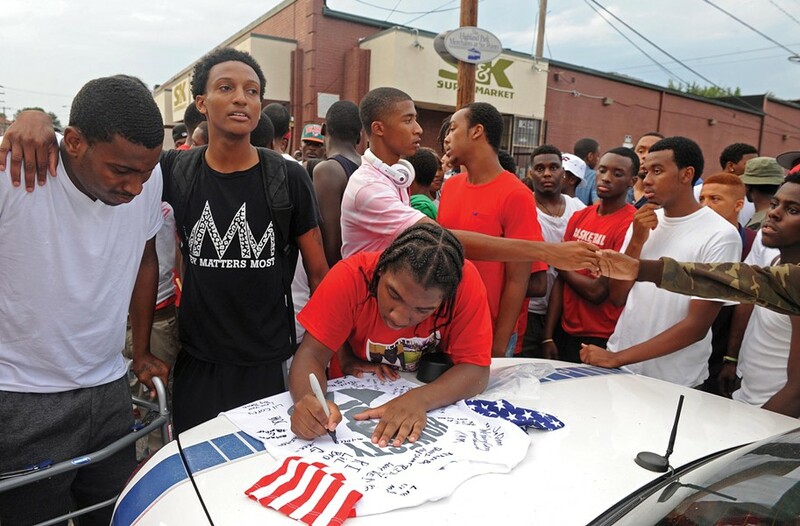 Garrick's friend, Danté Jackson, signs a T-shirt memorializing Garrick at his vigil. A vigil is the first expression of collective grief and when the person mourned is young and has been killed violently, a ritual is followed. There are candles to be lighted and balloons to be released. Garrick's picture, "Gone but not Forgotten," has been silk-screened upon T-shirts. Young men play it blank-eyed until grief smacks them and then they hang their heads and splay their hands across their brows. "He was the one who was going to make it," says Maurice Johnson, a 2009 John Marshall High graduate. "All he had to do was go straight. No turns. Just go straight. And he was getting there." A police officer parks his patrol car at an angle on the street. 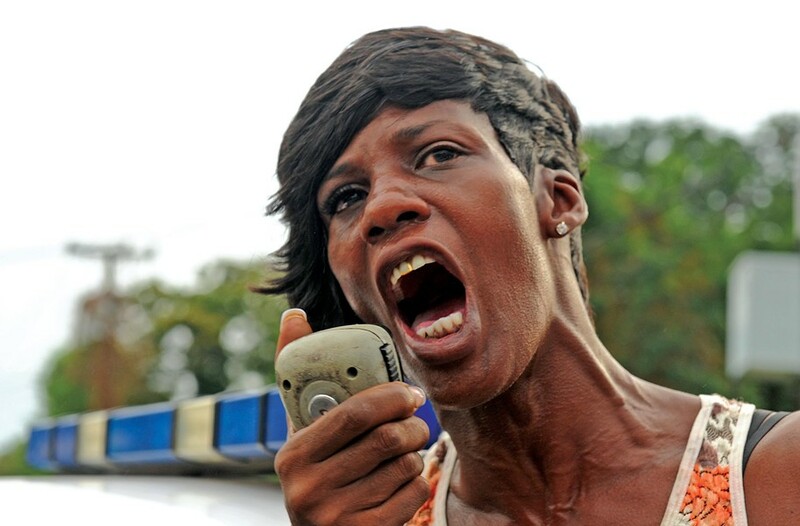 The officer lets evangelist Markeita Boyd, who often leads such vigils, take the P.A. She prays as she usually does, with vehemence, as if the force of her words could stop the young from killing each other. "This is what we do when we bereave our children," she shouts. "We are supposed to love, support, encourage and protect our children. … We have to protect our babies. We cannot allow them to die by the hands of the street." John Jones, one of Garrick's friends, tries to sing. He sinks to the sidewalk, overcome. "It's OK if you can't give us no more," Boyd tells him. "It's OK, sweetie." The word is that killers were teenagers looking for a different group of young men. The detective says only that it appears Garrick "was not the intended target." In the days that follow, the police canvass the neighborhood. "Someone saw something," he says. "Someone knows who did it. I need a witness." Guardian Angel Tommy Cox wonders how it can be that everyone was so crazy about Garrick and no one will step forward to report seeing anything. He says some young men told him at the vigil that they weren't snitches. "Why wouldn't they try and help police apprehend the killer?" he asks. The village is strong in Highland Park, he says, but it is not yet strong enough or big enough. Vidrell goes to the cemetery every day. The family can't afford a headstone and so, for now, a heart-shaped bouquet of white and blue silk carnations and red roses sits on a wire frame at the head of the grave. The kids stretched one of Garrick's memorial T-shirts across the stand. Vidrell shakes hands with the air above the grave when he gets there and when he leaves. Basketball conditioning starts at T.J. and Kadeem Wright runs drills and finds himself crying. The seniors at T.J. wear buttons with Garrick's face printed upon them and some ask a teacher whether they can build a memorial to him on her classroom door. She says yes, because she believes they need to give voice to their grief, but she thinks, please, no. I don't want to have to see his face every time I walk into my classroom. A student who hears Ms. Johnson, the math teacher, talk about her relationship with Garrick, sees her in the hallway at school and greets her as mom. She doesn't know who he is, she says, but she will be there for him. Coach Johnson's wife wakes up in the middle of the night, crying. Coach Johnson visits the cemetery, two, three times a week. He says it saddens him how inner-city kids become so used to seeing death: "You love them. You listen to them. But I am telling you, you get used to it because it's happened for far too long. You hate it. You cry. But you move on." Garrick's girlfriend, Kashé, cannot bear to read Garrick's last message to her promising he'll be by before midnight. She deletes all of his texts. In the days that follow, Garrick's mom waits for him to walk through the front door. She is 5-foot-1, and when he hugged her, her head rested on his chest. She hangs poster-sized pictures of Garrick in his basketball uniform on the living room wall. 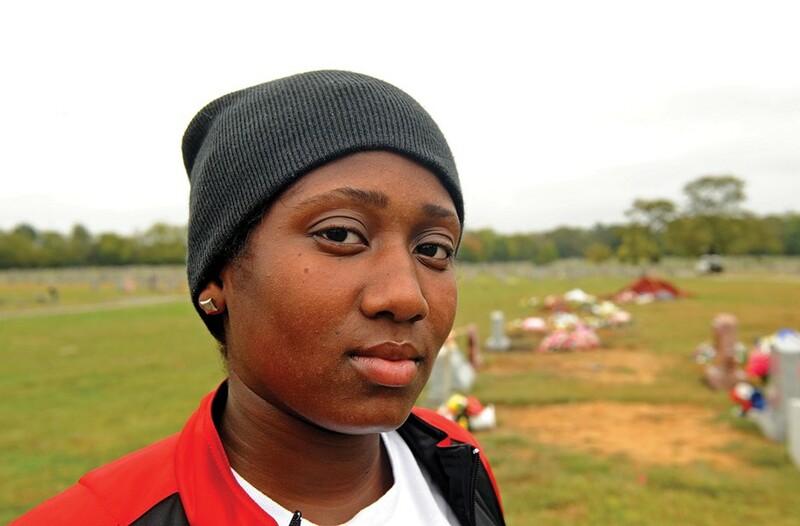 Garrick's friends send her Instagram pictures from the gravesite. "They're better than me," she says. "I can't go there right now." She is a mother with one son who has been murdered and another son in jail for murder. She suffers in ways she cannot put into words. In the weeks that follow, the mayor comes to Highland Park for the ribbon-cutting ceremony of the new houses built upon ground cleared of housing projects. Along Brookland Park Boulevard, surveyors work on the old school grounds, readying it for new development, a barber sweeps the gutter in front of his shop, a man in coveralls paints a storefront white, a handful of men sit on the curb in the S&K parking lot. Jo White runs the neighborhood crime stats. It's been a rough couple of months, she says. Between Aug. 17 and Oct. 18, there were 33 assaults and sevenrobberies. At T.J., William Dupree, the director of school counseling, gathers the seniors for the installation of the class officers. "We're going to dedicate this year to G," he says. "Respect for Self. Respect for Others. Responsible for Your Actions. We're gonna call it Three for G."
"Sometimes, it's crazy. Sometimes, it ain't," Danté Jackson says. "Some days are real good days. Sometimes life just goes on."